Despite all controversies surrounding Santa Claus’ origin, it is no doubt Santa Claus’ hometown is in Finnish Lapland. 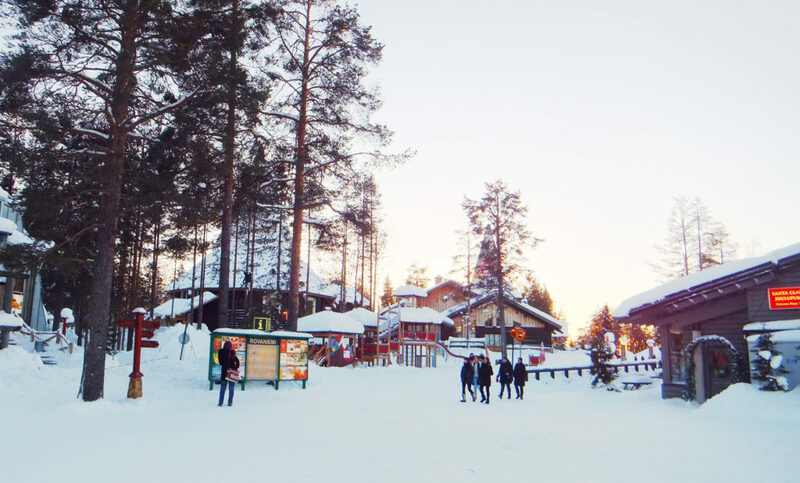 You can even meet him on almost any day of the year by visiting the Santa Claus Village in Rovaniemi – the capital of Lapland. This snow-covered Santa Claus Village was such a dream come true for me. From the looks of other visitors that day, I realized that not only children but adults were also thrilled by such a magical atmosphere. A visit to Santa Claus Village will become 10 times more amazing if you also happen to see Aurora aka Northern Lights here in Lapland. In this article, I will tell you about my failed attempts to see Aurora during my trips to Lapland in 2012 and 2014. There will also be some tips for maximising your chance of catching Aurora. Having been to 18 countries around the world so far, whenever I’m asked to name one destination that I’ve fallen in love with the most, the answer is no doubt “Lapland”! Lapland is my Fairy Land. 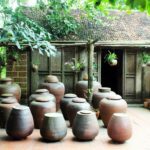 And it will be yours as well once you have been willing to leave behind the hustles of bustles of city life to listen to its call. I was fortunate enough to travel to Lapland not only once but twice during the winters of 2012 and 2014. I still remember waking up on the second day of my first trip to Lapland to realise with amazement that the temperature had dropped to -28 Celsius degrees overnight. It was only -10 the previous day. Yet it seems the colder it gets, the more beautiful and magical Lapland becomes. Lapland is the largest region in Finland and also the country’s northernmost region. Lapland’s capital is Rovaniemi – a modern city with a population of around 62000. There is also a Swedish Lapland, which is the northernmost province in Sweden. The average temperatures of Lapland in July (the hottest month) and February (the coldest month) are 17oC and -10oC respectively. You can imagine how freezing it is there. So, apart from the impressive temperature, what else is so special about Lapland? Dear Santa, I’ve been good all year! having them sent with a special Santa Claus stamp. The most exciting part is meeting Santa Claus in real life. Very similar to what you had always imagined when you were young, Santa Claus is a big bearded man dressing in red. Apart from his sonorous voice and tight hug, what impressed me most about him was his incredible ability to make anybody who sets foot in his room feel comfortable. Here’s the photo of Santa Claus with me and my two friends when we visited him in 2012. 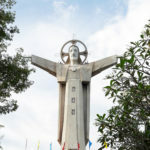 Alright, so since the beginning of this article I have told you about Santa Claus as if he were real! I chose to believe so because that would make my life less boring and pragmatic. However, I reckon you should know one more thing about visiting Santa Claus at the Santa Claus Village in Lapland. In fact, it costs 25 euro if you want to have a photograph with Santa Claus. Yes, we paid 25e for a package containing this image of Santa Claus with us, a video recording our visit and some information about Santa Claus Village. Fortunately, there were 3 of us in the photo together so we could share the cost. After all, Santa Claus does not only give but he also takes as well. For me the money was worth it anyway. Now as you have met Santa, it’s time to explore other parts of the Santa Claus Village. Everybody knows that Santa’s best friends are the reindeers. 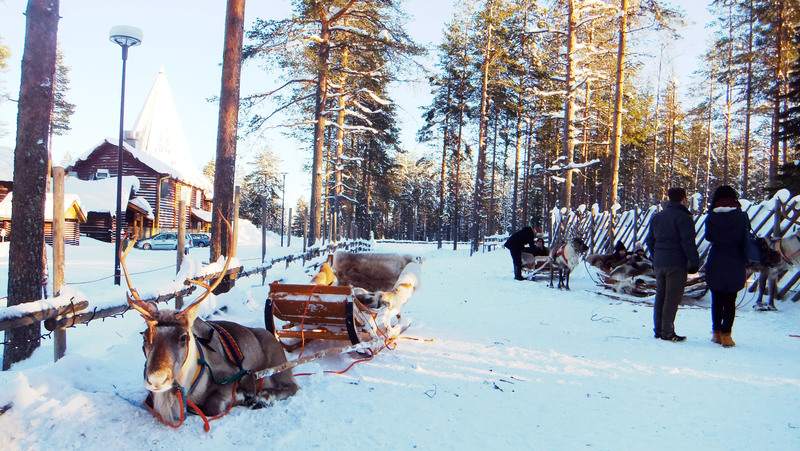 Here at Santa Claus Village, you can take a reindeer sleigh around a reindeer farm with some fees. Don’t forget to pet them! The husky ride was for me much more interesting as it was faster than the reindeer sleigh. It allows you to ride into the forest as well, not only around the farm. Huskies here sound noisy yet they are quite benign. You might be lucky enough to see the small huskies as well. They were the cutest! After spending nearly an hour choosing and writing postcards for my friends at the Santa Claus Post Office, I realized that most postcards here tend to depict either Santa Claus or the Northern Lights. 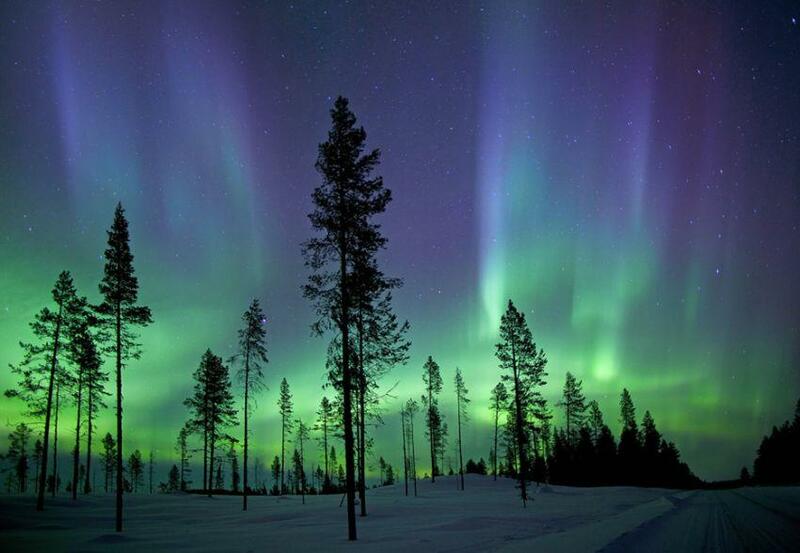 Surely Northern Lights (Aurora) have become an emblem of Lapland! This amazing phenomenon is most likely to appear in Lapland from December to February, which is also the coldest period of the year. A Finnish friend once told me of the occasion when he saw Aurora for the first time. It was a cold and dark night when his group of friends was doing a snowmobile tour across the forest. While driving through the darkness, they suddenly saw a stunning sight of lights with different colors floating right in front of their eyes. It must have been an epic moment for them. I was one of the unluckiest visitors to Lapland who failed to see Aurora twice! On my first trip to Lapland, my friends and I went to some local shops to ask for tips to catch the Northern Lights. The locals pointed us to a deserted frozen lake a bit far from the city lights. We waited there for 45 minutes without seeing anything, and decided to go home when we felt like we’re about to turn frozen as well. Upon returning to Lapland for the second time, I was so determined to spot the Northern Lights that I booked a Northern Light tour with a travel company. In this tour, the bus took us far into the forest and high up onto a snowy hill to maximize our chance of catching Aurora. Much as I had hoped and prayed, all I saw was a black night sky with shiny stars. Maybe Lapland wanted me to come back for a third time. So badly that it hid the Northern Lights from me twice. The best locations to spot Northern Lights are dark places without artificial lights. That means going far into the forest or up onto the highest hills. I’d recommend booking a Northern Lights tour to maximize your chance of seeing Aurora in Lapland. The tour provides you with bus transportation far into the forest and high up onto a hill – places where you are most likely to see Aurora. 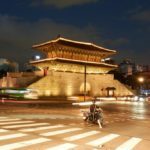 Once you’ve been tired of looking at the sky in vain, you can go into one of the wooden huts on this hill to warm yourself and enjoy some grilled sausages prepared by the tour company. We also were told of old folk tales from the ethnic minority Sami people in Lapland regarding their beliefs about the Northern Lights. In another post, I will cover other activities you can do in Lapland, such as snowmobile, spa, snowshoeing etc. Stay tuned! This is awesome! I have this bookmarked and am hoping to make it there one day with my daughter. 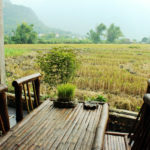 Your post makes me really want to go now! Thanks so much for sharing this awesome experience! Whhahhaa I so want to go! I hear this year is excellent for aurora viewing but I’d love to see Santa’s reindeers and meet Mr. Claus himself! I love it. 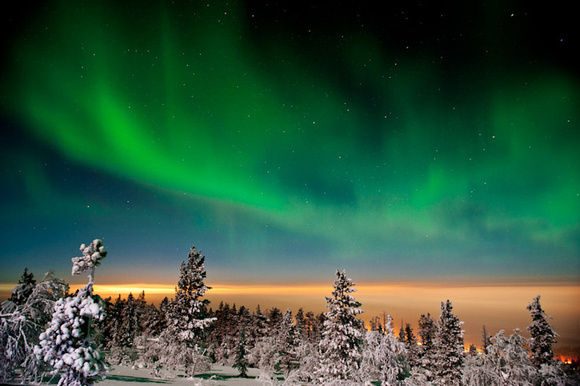 Lapland looks a very magical place to visit especially for children. I would love to see the reindeers and maybe spot Rudolph. I understand your angst at finding the northern lights I went to Iceland in January and went on 3 tours before I finally got to see them and they are truly amazing. I think I would’ve liked the husky ride the best too! And I totally know your feeling about missing the northern lights. I was in Iceland at the end of November 2015 and missed the northern lights 🙁 I’ll be back in Iceland in early March of this year but it may be too late to see the lights… fingers crossed. Lapland has been on my bucket list for years though! I love Scandinavia and Lapland sounds so lovely. Glad you enjoyed it!! 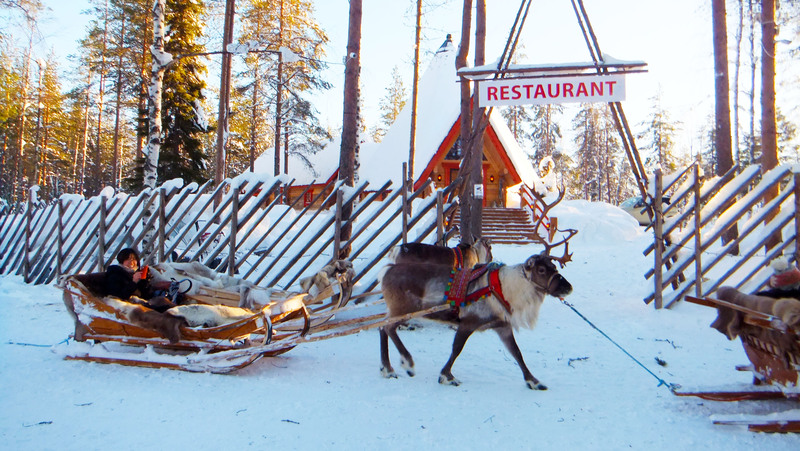 Oh my gosh – I want to go to Lapland! If not for the adorable letters-to-santa bit, I have to go for the Northern Lights. So sorry you didn’t get to see them (twice! 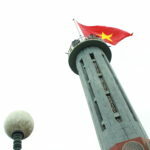 ), but you are so right — just another reason to visit again! My husband and I have been dreaming of Lapland! We have Finnish friends who have a cottage north of the Arctic circle, but it’s just so difficult to coordinate with busy schedules and all. We’re from Québec, which has one of the coldest winter on Earth, so we’d just feel right at home there! That’s really too bad that you didn’t get to see the Northern lights! But as they say, third time’s the charm, right!? I’ve actually had the chance of seeing them a few times in Québec, but in the summer, isn’t that funny? Most people think they only appear in the coldest of winters, but we get them once in a while in the middle of summer! That is so cool!!! I was living in Helsinki when I visited Lapland, and everybody in Finland was telling me that I had to go there during the coldest time of winter if I wanted to see Northern Lights! It never occurred to me that they could appear in the summer as well. I want this so bad!! I’m Norwegian and I’ve never seen the Northern lights. How sad is that? I’d love to visit Lapland and play in the snow and go on dog sledding tours and reindeer sleigh rides.. and obviously meet santa! I’d love to do this around Christmas time, but I’ve heard it’s extremely expensive to go there for the holidays? Looks like you had a blast in Lapland. Great post. 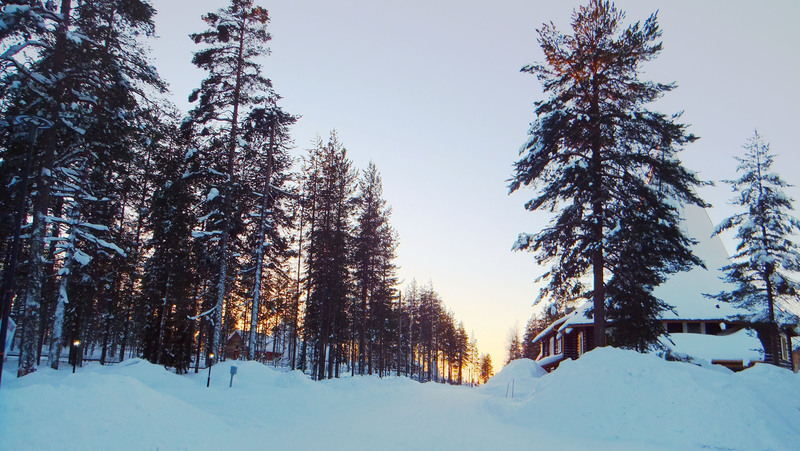 I’ve heard nothing but good things about Lapland and I can totally see how it’s a winter wonderland. I LOVE the reindeer and would probably spend all my time with them. 🙂 I’ve managed to miss the Northern Lights on all my trips to Scandinavia but I bet Lapland would be such a magical place to finally see them! Holy shtzini, this is so cool thank you. So much snow! So many cute reindeer. Oh so jealous that you get to go here. It’s now on my list of places to go. The reindeer and the Santa Claus village looked UNREAL! Like magic! I’ll be ecstatic if I were there =D But first, I have no idea how I’ll survive -28 degrees when near-zero temperatures are enough to make me fall sick for real each time I’m in Europe during winter, sheesh! Haha it was very funny that my 2 friends’ Samsung and iPhone smartphones went dead when the temperature hit -28 degrees that time. I had a Nokia Lumia and it was still running well. Nokia was no doubt always made to suit the Finnish weather. 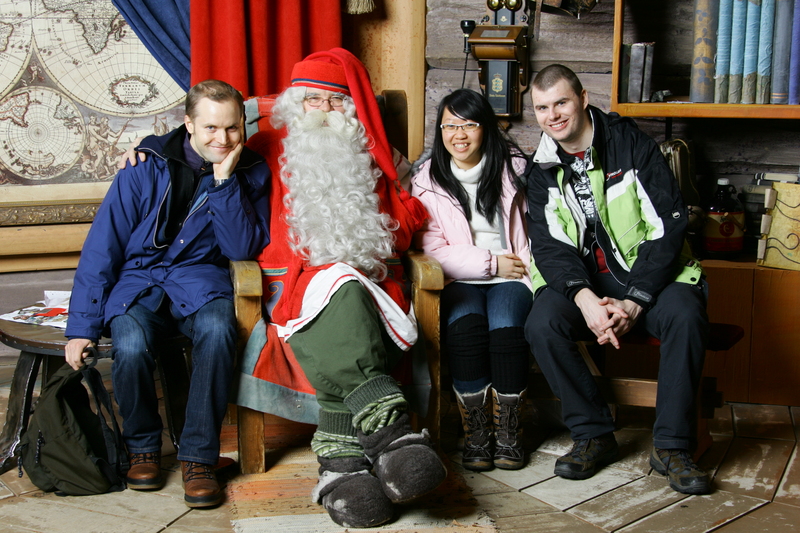 The Santa Claus Village looks like an amazing experience even for grown ups. Such a pity that you couldn’t get to see the northern lights, apparently they’re not that easy to catch!